Prominent & Leading Manufacturer from Jaipur, we offer laminated mgo boards. Laminated MgO Boards are make with combination of Wonder Boards & PVC laminates, thereby combining all the advanced features of Wonder boards™ with attractive decorative finishing options. 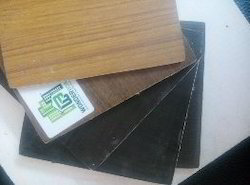 We offer a high quaity of finishes that are ideal for interior wall applications, kitchens, offices etc. It can also be used for exterior applications.